Studying and working in the tourism industry with Great Rail Journeys is amazing. 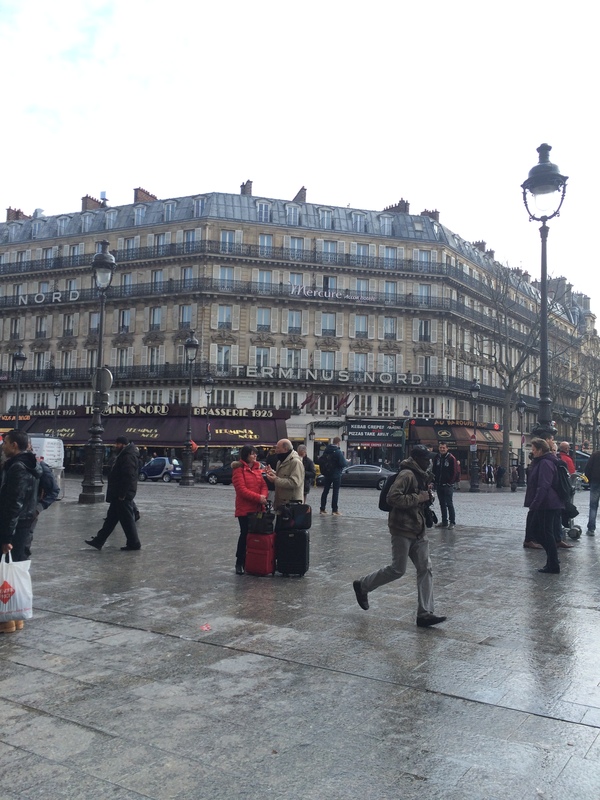 I am constantly learning about the world around me and one of the perks of working for Great Rail Journeys was the opportunity to experience the Eurostar to Paris! I had never been on the Eurostar or been to Paris before so being able to go there was (sounds cliché) ‘a dream come true’. Although the thought of the Eurostar did freak me out going through the Channel Tunnel being underwater in a train just didn’t seem real. I went with 4 of my fellow colleagues from York to London and we visited the Ambassadors Bloomsbury which was beautiful and then saw the GRJ office at St Pancras and got on the Eurostar. Check in was easy and the next minute we were sat in Standard Premier Class. There was plenty of room for us all I had a table to myself and it was very comfortable, we were brought around lunch and got to choose the food and drinks. 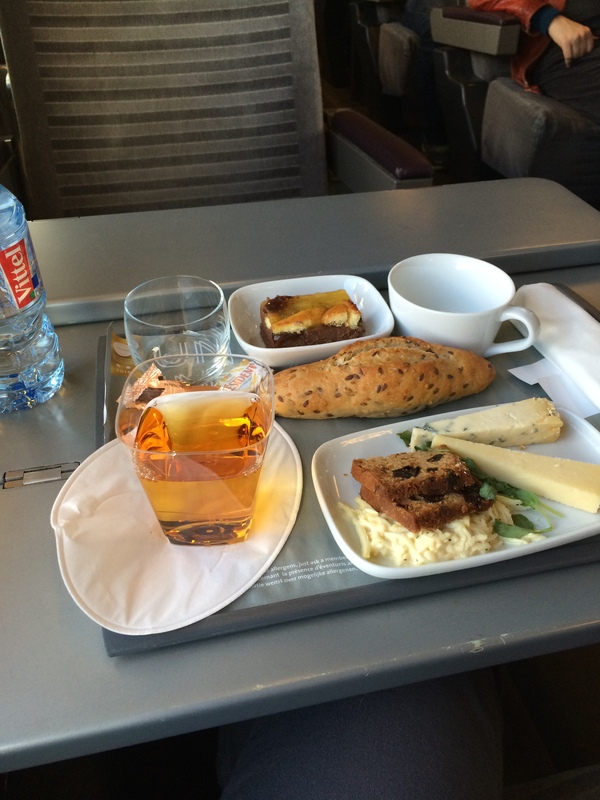 Eurostar Cheeseboard, Bread and Chocolate orange dessert. The lunch was delicious and being so distracted with talking to my colleagues, reading and having lunch I did not even notice we were going through the tunnel. I looked around when we got into France and I couldn’t believe we were there already until I read the signs outside in French. I was astonished! We all were thinking what we could do as a group photo for Great Rail Journeys and we all thought ‘You can not go to Paris and not see the Eiffel Tower.‘ We set out on a mission to find this iconic tower. 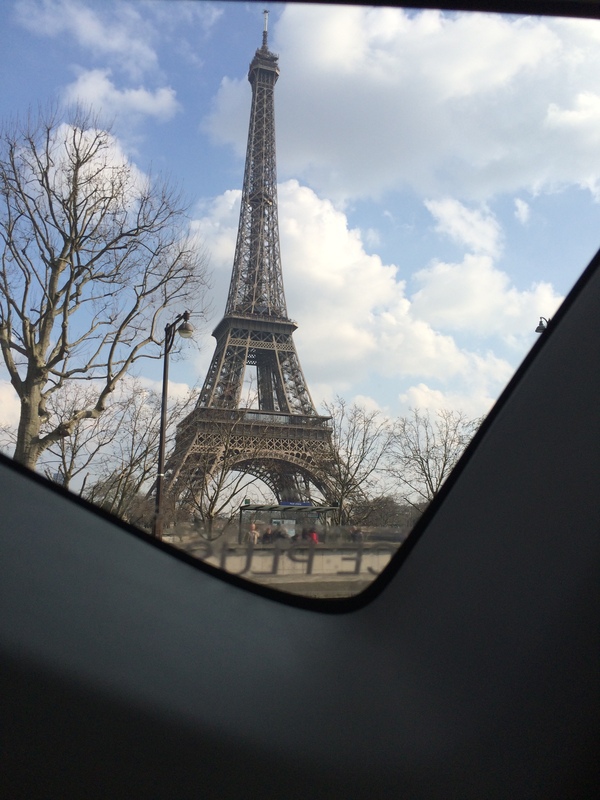 We found a taxi and travelled through the shopping streets of Paris past Dior, Chanel and Cartier until we reached the Champ de Mars and saw the Eiffel Tower. As we arrived on the Champ de Mars for the Eiffel Tower! I am so happy that we got to see the Eiffel Tower even if it did mean a rush back to the Gare du Nord for our return journey home. We travelled in Standard Class but the check in was really efficient again and we were soon on our way home and it was very comfortable and we had plenty of space to relax. We also got some food from the buffet car and it was a very reasonable price and the food was delicious. I feel very blessed and grateful to have had this experience which I am able to share the information with our customers. What I would take away from this experience is how blessed we are nowadays to jump on a train and be in a completely new city in just 2 hours! Being able to share and experience new cultures and languages and things can only get better for the tourism industry making everywhere more accessible and it is a very exciting prospect for the future! Thanks to the Eurostar we are all able to access these new places so easily and in such a relaxed and friendly atmosphere. Thank you for reading this blog post I could have wrote a lot more but I hope that if any of you reading this find this helpful. Then you can go and explore these new cities through the Extraordinary Eurostar.